Guerilla Archaeology had a grand old time at Wilderness giving formal talks and informal classroom sessions. Many people answered the call to the wild and explored their shamanic side, left hand prints and checked out the effect of geology and climate on their internal chemistry. See all the images here on Flickr. 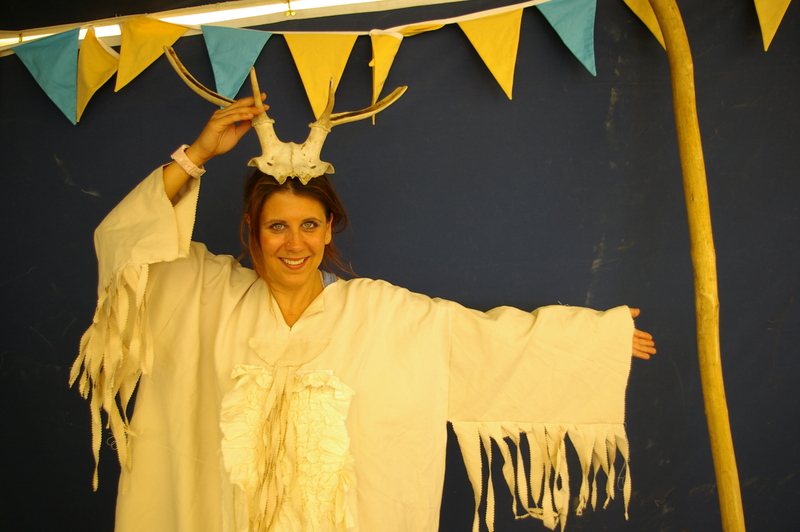 We are busy re-packing our Shamanic suitcases ready for the trip to Green Man tomorrow. 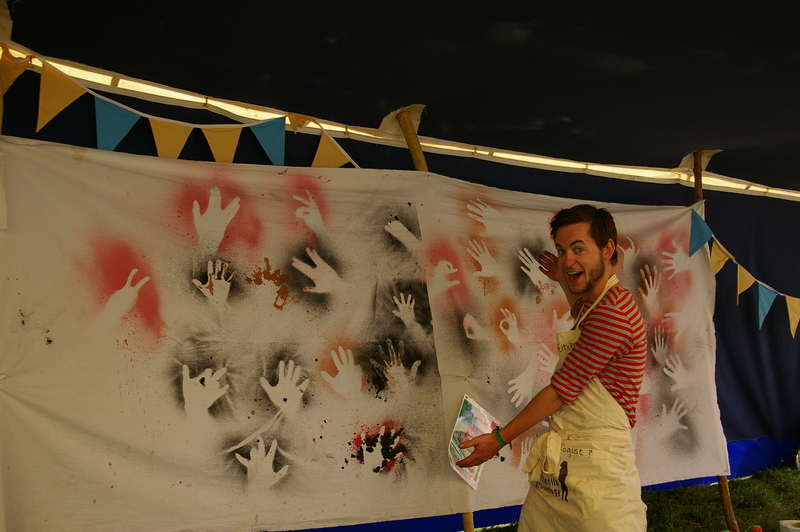 Come along and see us in Einstein’s Garden for the chance to create your own Shamanic Snapshot we can post on Flickr. We will also be talking to people about the magnificent local archaeology, with the beautiful fish stone standing within the grounds of the estate. Visit the Peoples Collection Wales website for more images of welsh standing stones. The splendid hill fort on the summit of Crug Hywel (Table Mountain) is visible from the site itself. 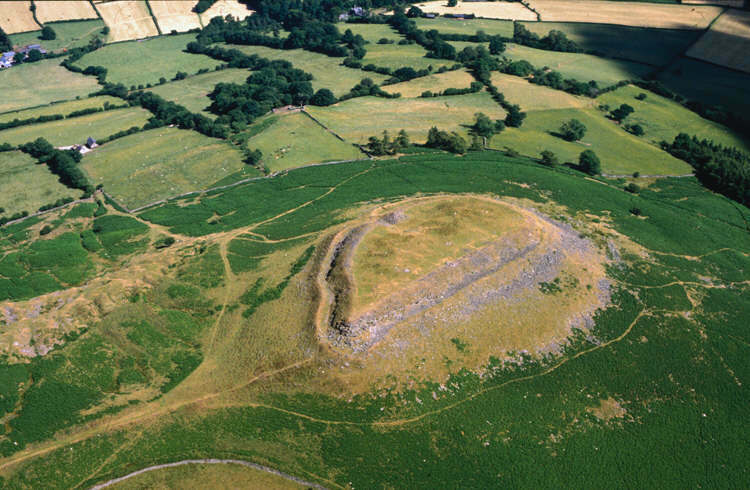 The local inhabitants built a defended settlement, or hillfort, during the the Iron Age (1200 BC – 74 AD) on the summit of a prominent outcrop at the southern end of the main ridge. There is a great walk you can download from the Clwyd-Powys Archaeological Trust, it is a steep hill but worth it for the view.